Blue Waves 52" x 52"
Joannes Designs Week9 'Blue Waves' quilt was a design I created to showcase a limited colour range using a half square triangle layout. There are so many variations of designs using the half square triangle. With this design I loved creating the quilt incorporating an off centre feature. I have chosen blue colours as they represent waves of the ocean. The quilt is large enough to use as a throw or as a quilt for a baby. 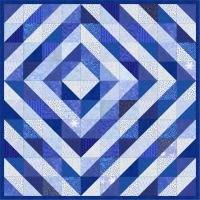 To make this quilt you will need a large variety of blues in two different shades. I have used light blues and medium to dark blues (bright blues). You will need to use 1/4 yard of 28 different blues, half in light shades and the other half in darker blues. 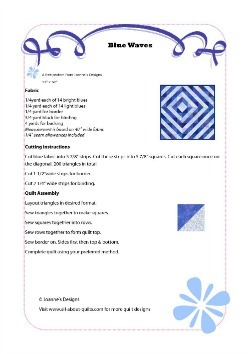 This quilt is ideal to make using the strip method or alternatively you can use Marti Michells's templates. In my pattern below I have used the strip method to create the triangles. This quilt would look great in any color you choose. The key to its success is to ensure you have two very distinctive shades of the color you choose. 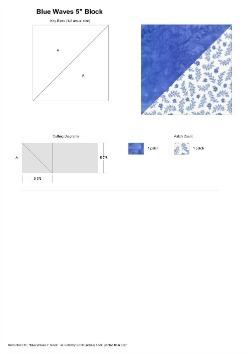 To download the pattern or block fabric guide click on the relevant image below. 2. 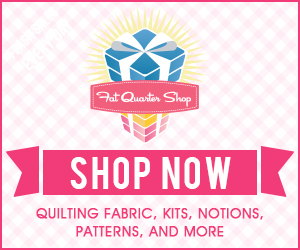 Cut each strip into 5 7/8" squares. Cut all squares in half diagonally once. 3. Layout all the triangles in desired design as per pattern. 4. Sew triangles together to form squares. 5. Sew squares together in rows. 6. 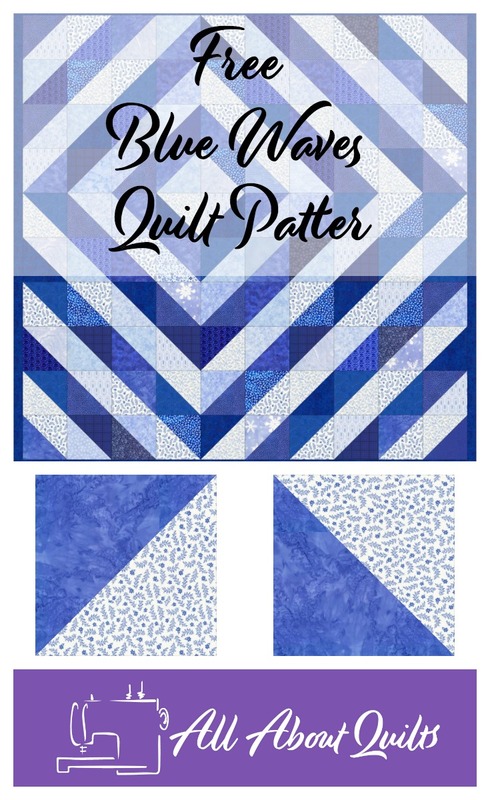 Sew rows together to create quilt top. 7. Remeasure quilt top in 3 places vertically to get the average length to cut your first two side borders. Cut two 1 1/2" wide borders this length. 8. Sew side borders on. 9. Remeasure quilt top in 3 places horizontally to get the average length to cut your next two borders. Cut two 1 1/2" wide borders this length. 10. Sew borders on to the top and bottom of the quilt. I hope you enjoyed Joannes Designs Week9. 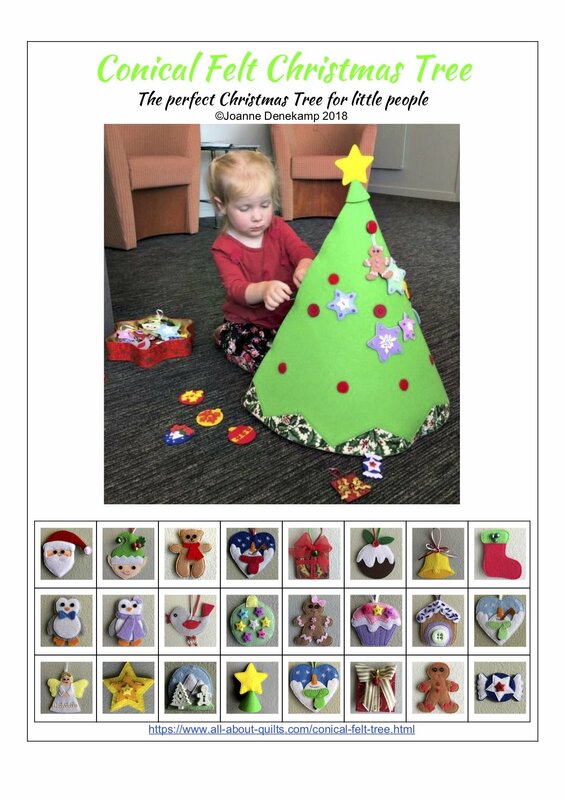 Just 43 patterns to go!